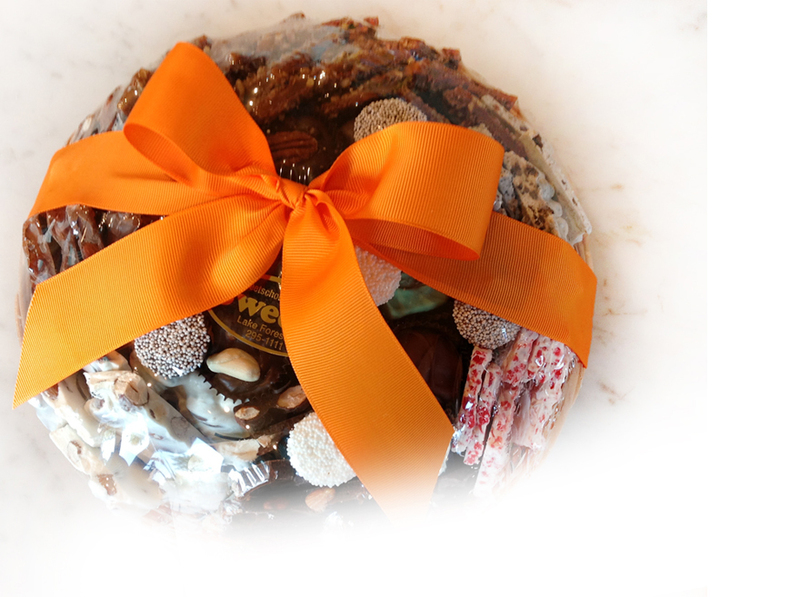 Sweet's of Lake Forest (near Chicago) creates, bakes and ships chocolates, nuts, English toffee, caramel and chocolate apples, peanut brittle, caramel nut corn, pretzels, ladybugs, turtles and more. Basket tray with a delicious assortment of Sweet's chocolates. Great for hostess or corporate gifts. In three sizes. Sweet's signature toffee made with real butter, milk chocolate and fresh ground pecans. This is melt in your mouth toffee. Sweet's caramel piped generously on fresh roasted pecans and topped with milk or dark chocolate.